← Story Massage is Celebrating National Massage Day! 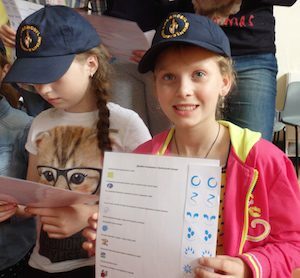 Story Massage is not only for children! 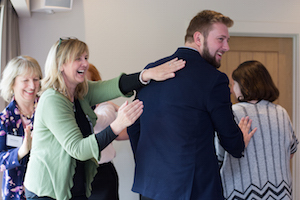 As National Massage Day (October 1st 2018) approaches, we share Jayne Burke’s reflections on a successful networking event for National Massage Day last year. 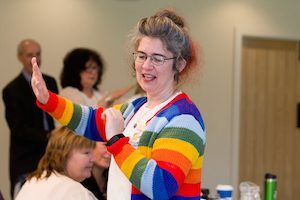 “Story Massage is a wonderful way of breaking down barriers at meetings, conferences and even team bonding days,” says Jayne who has won our Best Practice Award for her work. We hope that Jayne’s experiences will inspire you to share positive touch activities with your colleagues. Go on, give it a go…. “When I heard that National Massage Day was on 16th May 2017, I decided to put on my big girl pants and ask my business coach if I could do a group activity in his monthly networking meeting (StroudNet). He usually has two high profile speakers at each event so when he said yes, I was delighted that I had been brave enough to pluck up the courage to actually ask him. “I made my way back to my table amid a huge round of applause which seemed to go on for ages. However, although delighted, I was fascinated by the amount of love and laughter that had been released into the room and showed on people’s faces. Story Massage is a great way of getting our happy hormones flowing! 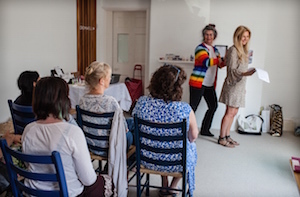 “Even after 20 years as a Holistic Therapist, I still love seeing the way people change when they experience my PAT (Positive Appropriate Touch) instruction and I feel very privileged every time it happens. Luckily, one of the attendees at the event was a photographer so I now have a wonderful record of the wonder, delight and happiness in the room. I was also deeply touched when many of the attendees made the effort to find me later on; both to thank me, and to share their experiences. 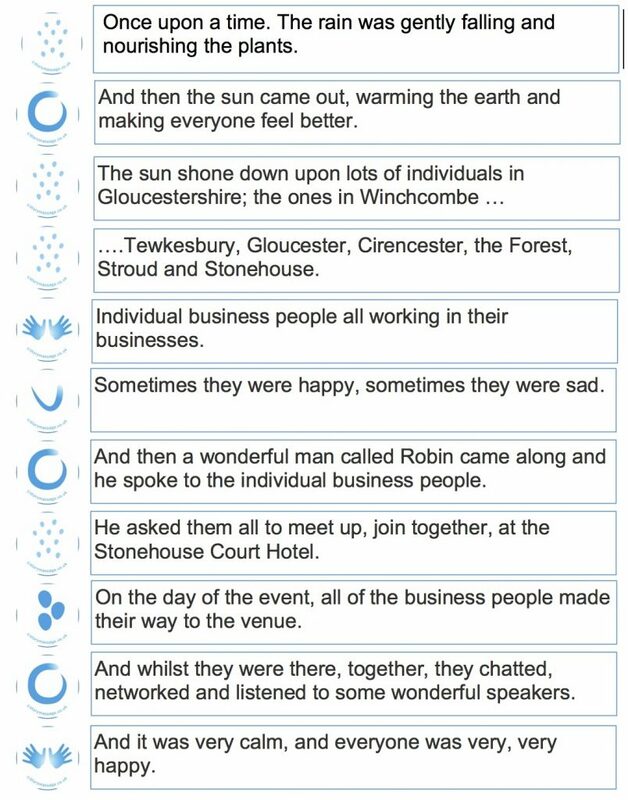 “Since then I have shared Story Massage at an IWork4UGlos Networking event and will also be sharing it at a Women’s Business ClubNetworking event later on in October.